Where to stay?... 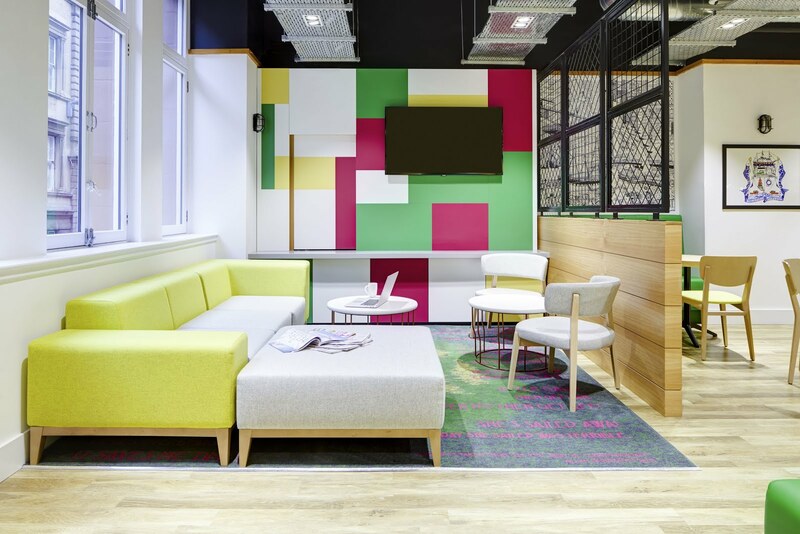 Ibis Styles, 74 Miller Street. 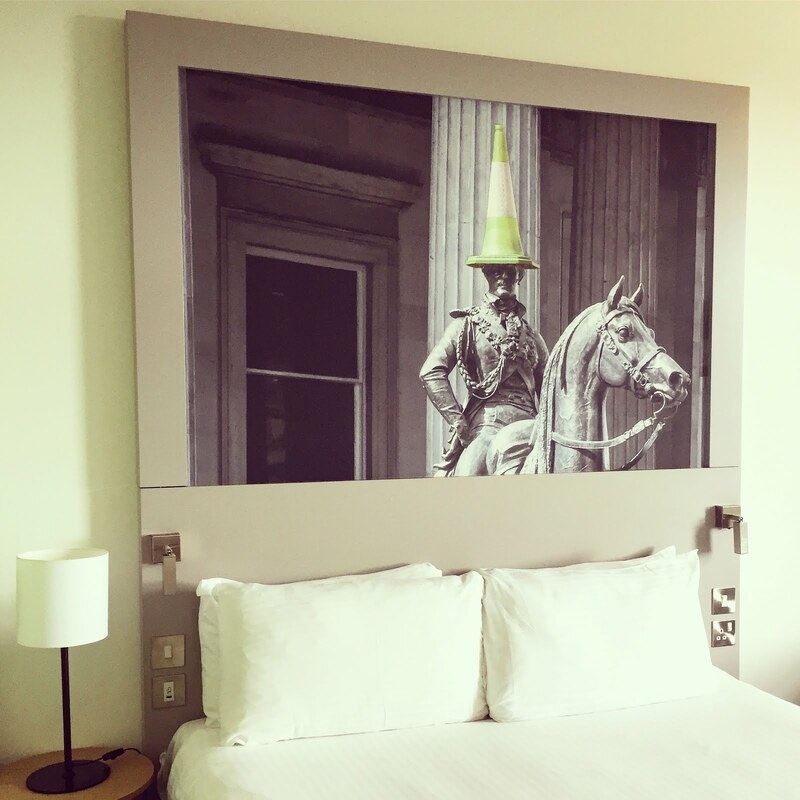 I would recommend the Ibis Styles for its fabulous city centre location, delicious breakfast menu and wonderful interior design. 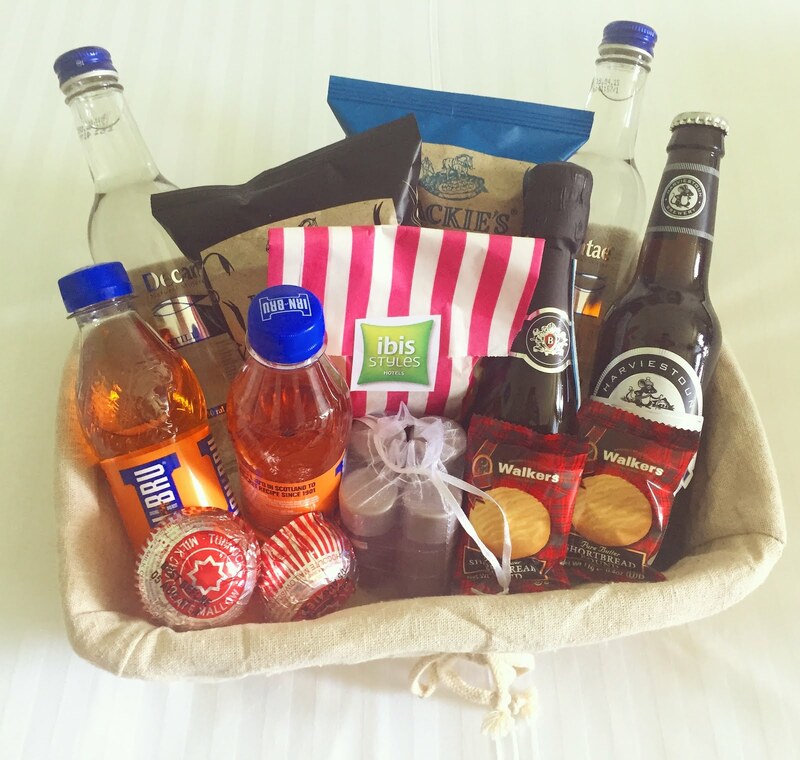 I was very fortunate to enjoy one night's stay at this hotel and what an experience it was - the staff were incredibly welcoming and accommodating, the bed was one of the comfiest I've ever slept on and the quirky room decor made for some excellent Instagram pictures... We also received a 'welcome' hamper, bursting with fabulous 'Scottish' goodies, such as Tunnocks Teacakes, Irn Bru and a pick and mix sweetie bag - how cute! 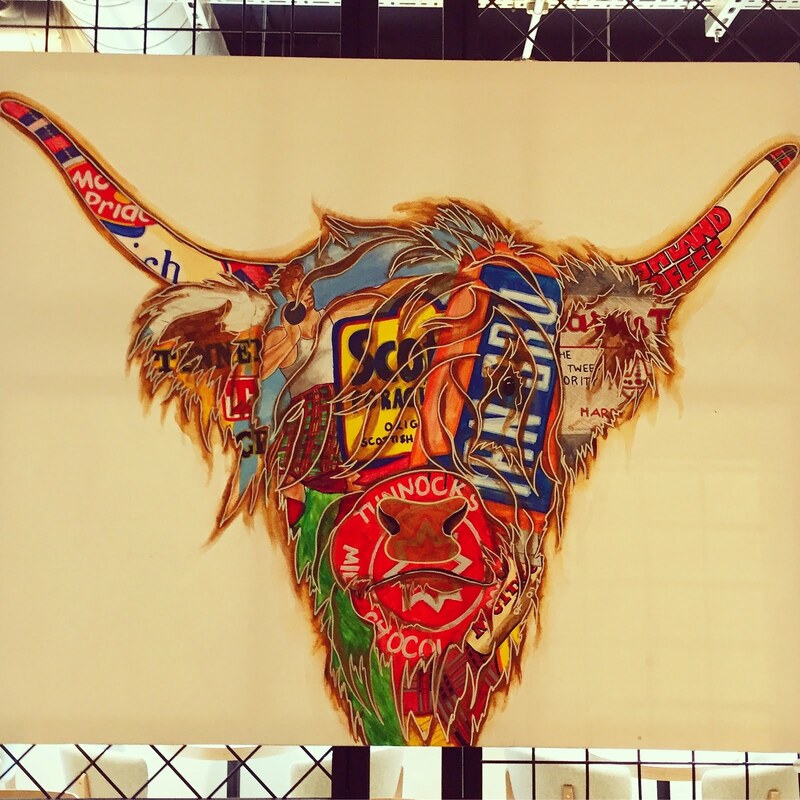 Insider Tip: head to the main reception area to check out the quirky and colourful artwork. Be sure to also play a game of pool or even Mortal Kombat on the playstation in the guest area - so. much. fun. 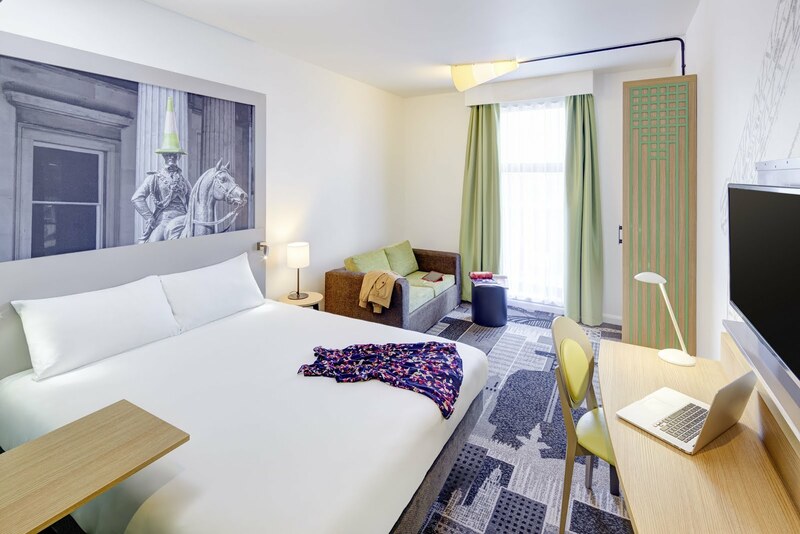 To book a stay at Ibis Styles Glasgow, please visit: http://www.ibis.com/gb/hotel-9684-ibis-styles-glasgow-centre-george-square/index.shtml or call 0141 428 3400. Where to eat lunch? 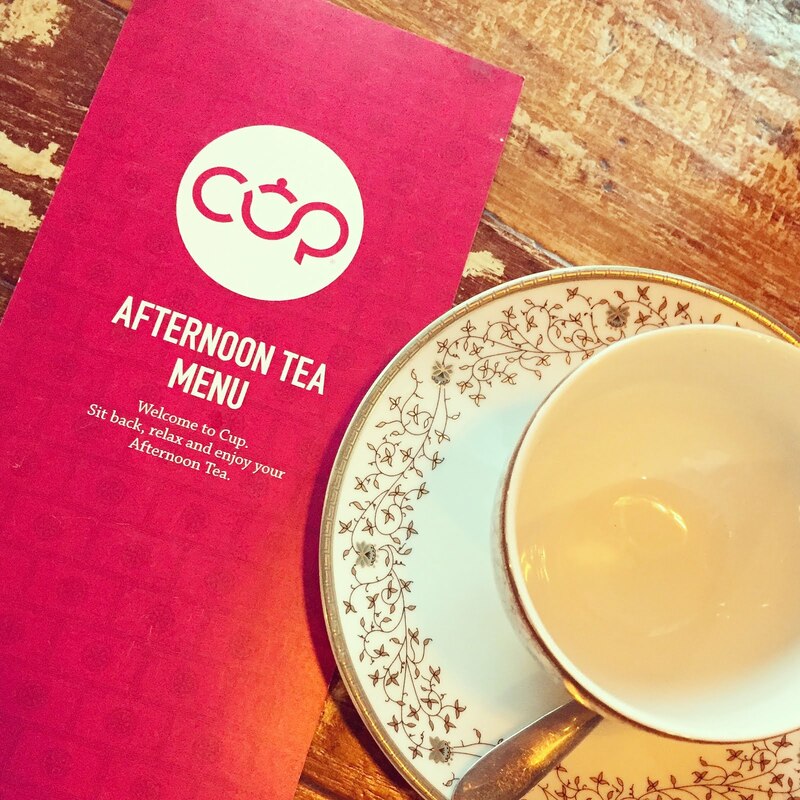 .... Cup Tea Lounge, 4 Virginia Court, Merchant City. You guys will probably know by now that I'm a sucker for any kind of cake and I always need a cup of tea to see me through the day. 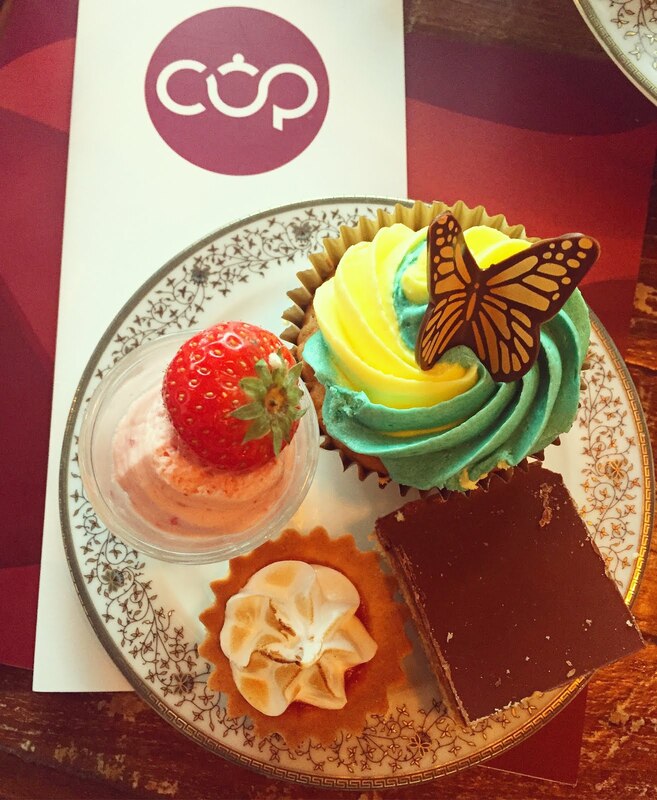 So, naturally, I would recommend Cup Tea Lounge on Renfield Street. This adorable cafe is situated literally around the corner from the Ibis hotel - we enjoyed a delicious assortment of sandwiches, cakes and warm homemade scones. We enjoyed English Breakfast tea in a teapot the size of my head, and also got to sample some of the refreshing gin cocktails - Pink Envy was my favourite! The gin cocktails were also served in teapots, which gets a huge thumbs up from me! We had the lovely opportunity to meet the owner of the cafe, who was incredibly friendly - be sure to check this one out! 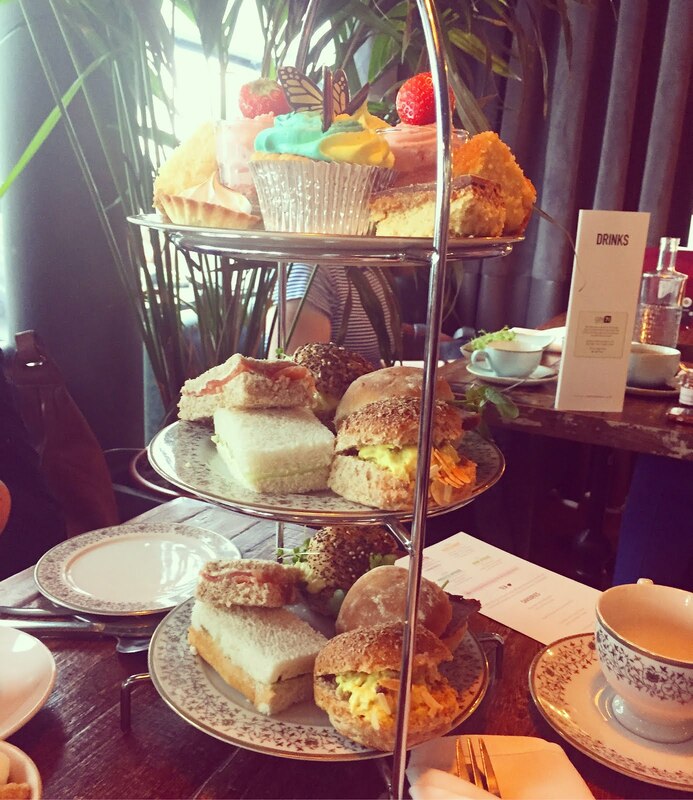 Insider Tip: You can order vegetarian or gluten free afternoon tea, which is awesome for anyone who likes eating out, but can sometimes find it a struggle. This place is also great for parties and, whilst I was there, I saw both birthday and baby shower celebrations taking place - such a great idea! Where to go for pre-dinner drinks? ... Bar Soho, 84 Miller Street. We stopped in here very quickly for a yummy drink before dinner, and it's definitely a place I'd recommend. Again, the interior was lovely with pretty fairy lights filling the bar and surrounding the seats. 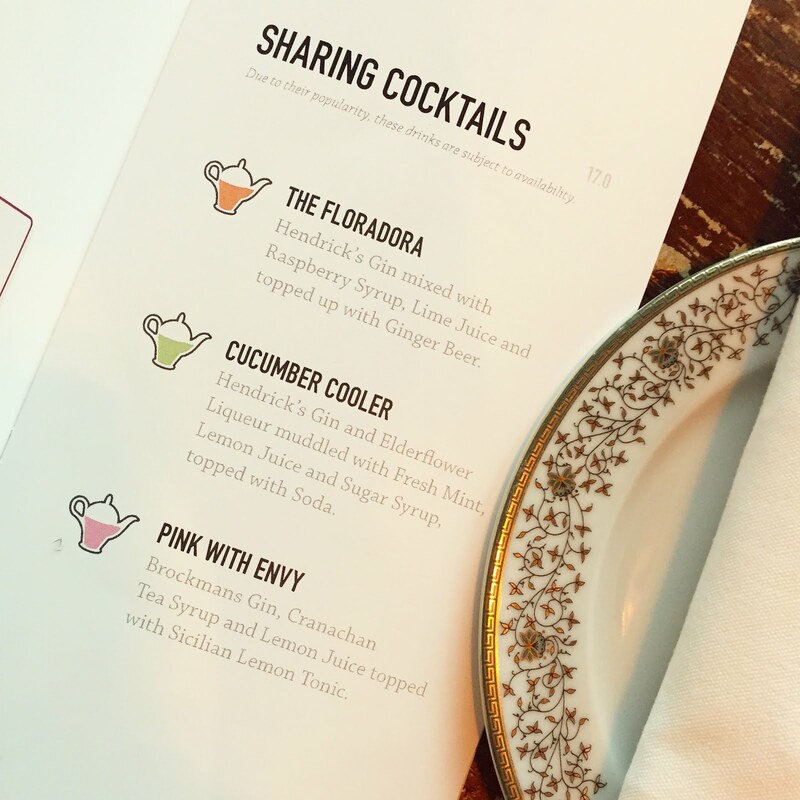 The cocktail menu is extensive and you'll be sure to find your favourite drink. If not, the staff are more than happy to create something special for you instead. We ordered peach bellinis, which were incredibly delicious and refreshing. 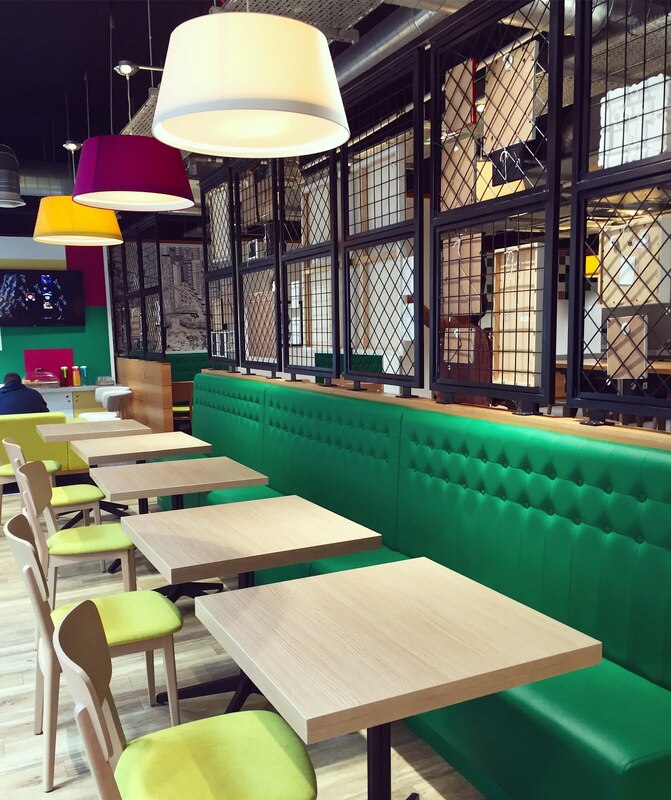 Insider Tip: this is another popular city centre location, so be sure to arrive early to grab yourselves a comfy booth table. They also offer a menu full of delicious food, so make a night of it! Where to eat dinner? .... Paesano Pizza, 94 Miller Street. Well, where to start. 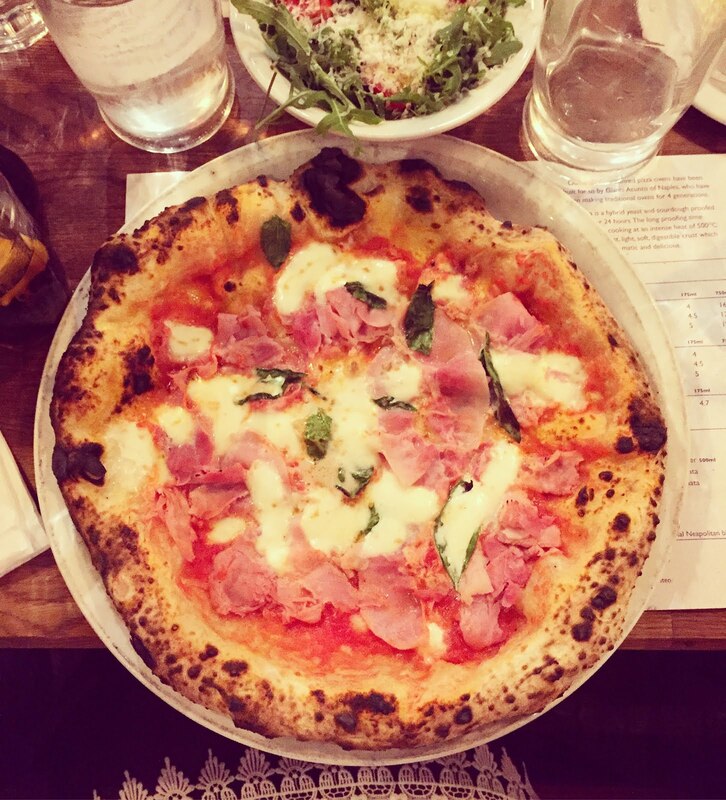 I loved everything about Paesano Pizza. From the awesome surroundings, to the good music (they played everything from Britney to R Kelly to Nirvana) and of course, to the delicious food. 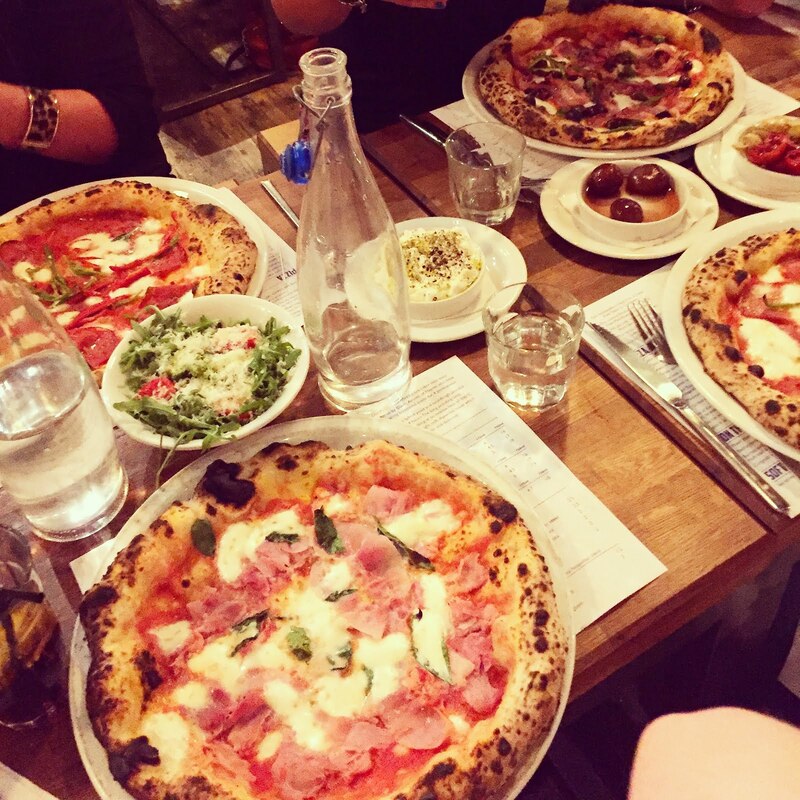 These guys know exactly what they're doing - the menu is small with only eight pizzas to choose from, but they deliver on quality and taste. Honestly, my pizza was incredibly fresh and it felt like, for once, I was eating a pizza that was good for me. Usually when I order from Pizza Hut or Dominoes, the pizza is greasy and I have instant regret when eating it. Paesano on the other hand, delivered a light and healthy alternative - the starters are also to-die-for! Insider Tip: If you'd like to visit Paesano, be aware that they do not take reservations, so arrive early to avoid the huge queue and disappointment. Once inside, I would highly recommend the Prosciutto Cotto pizza (number 5 on the menu) and the sun-dried tomato and artichoke starter... yum, yum, yum!! What to do during the day? ... Open Top Bus and Riverside Museum. 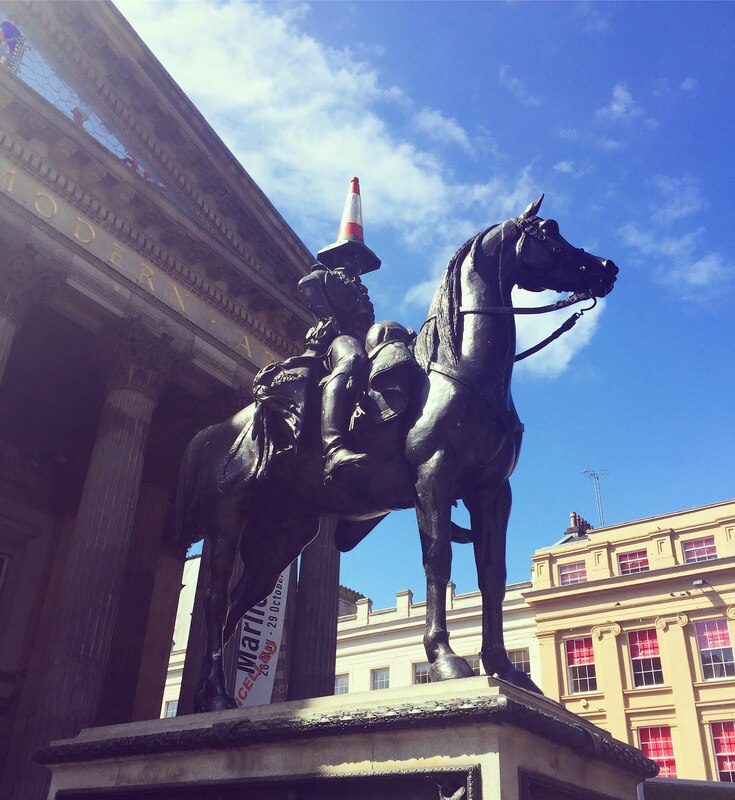 Glasgow has so many interesting destinations to visit, and the daily Open Top Buses provide a fantastic way to travel around the busy city at ease. With the ability to literally hop on and off, the red buses provide a great way to see all the sights that Glasgow has to offer within a short space of time. I would recommend one destination in particular: The Riverside Museum. 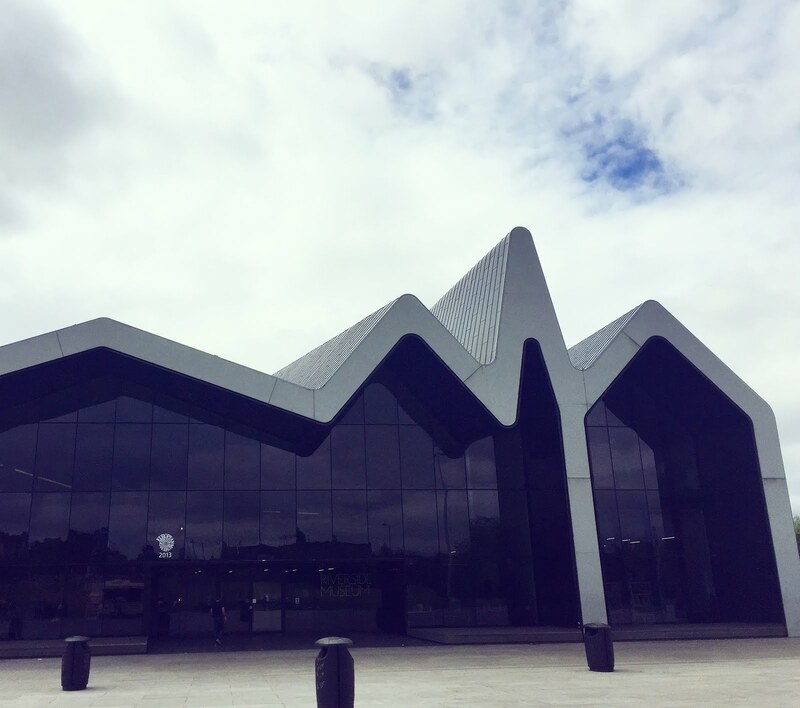 Designed by Zaha Hadid, the Riverside Museum is home to some of the world's finest cars, bicycles, ship models, trams and locomotives. 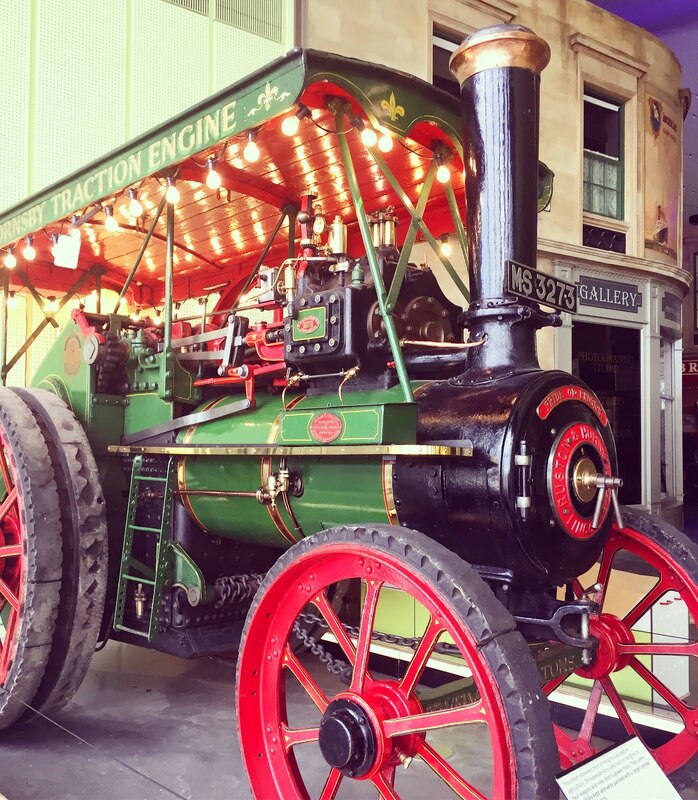 With interactive displays and a vast collection of things to see and do, this museum is well worth a visit. Oh, and let's not forget that entry to the museum is free - amazing! Insider Tip: If you don't fancy the open top bus, you can easily travel to the Riverside Museum by taking the Glasgow Subway. Hop on and head to the area of Partick, where the museum is only a five minute walk from the tube station. Also, be sure to head there nice and early - there is so much to see and do, you'll want to make sure you have time to walk around and see it all! 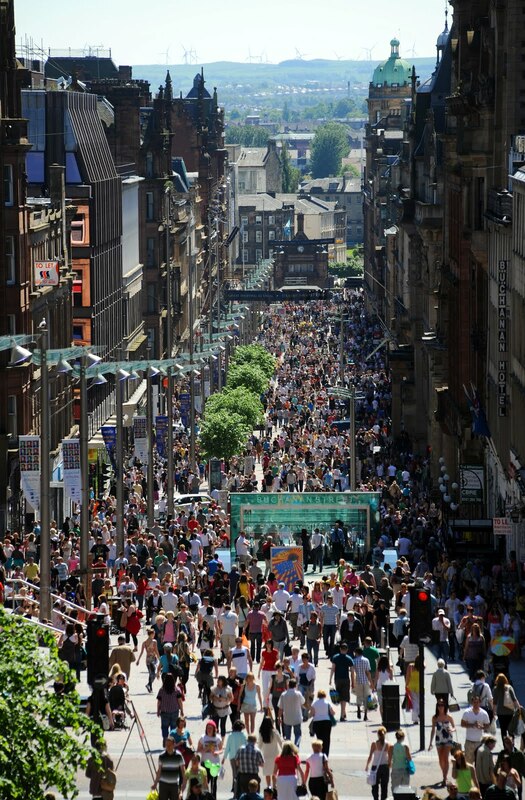 Buchanan Street // enjoy walking around Buchanan Street and experience the wonderful atmosphere that Glasgow has to offer. Explore the fabulous shops and enjoy the entertaining street buskers. 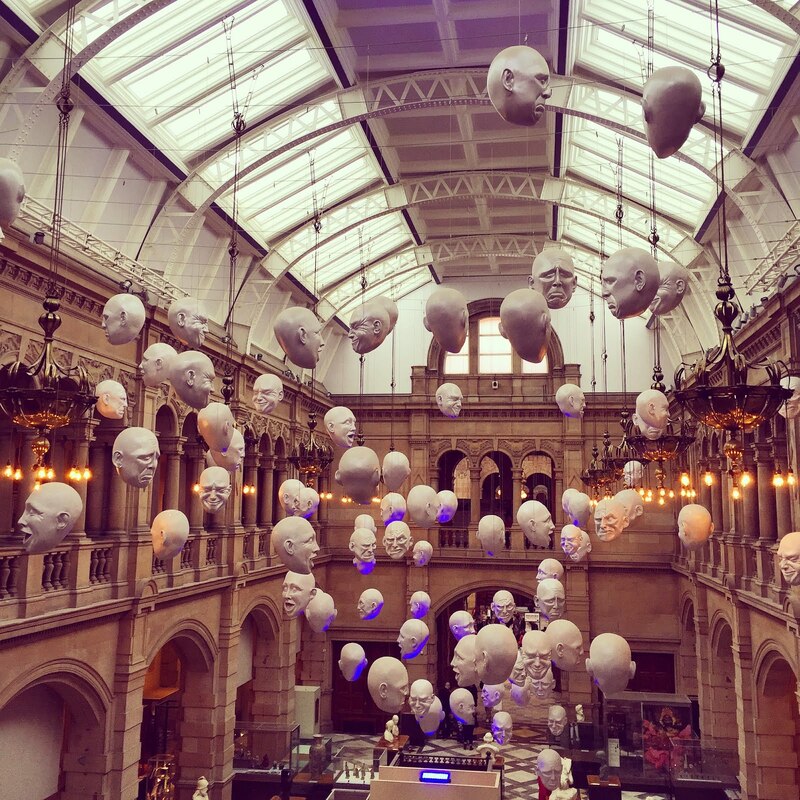 Kelvingrove Museum // classic tourist spot when visiting the city and we were staying nearby so fancied checking it out. The gallery features a museum, cafe and shop, so there is lots to see and do to keep everyone entertained. We personally loved the ancient Egypt and Wild Animals exhibition of the museum and of course, Sir Roger, the huge stuffed Elephant. It's always enjoyable taking in the lovely art on display and it was well worth the visit. 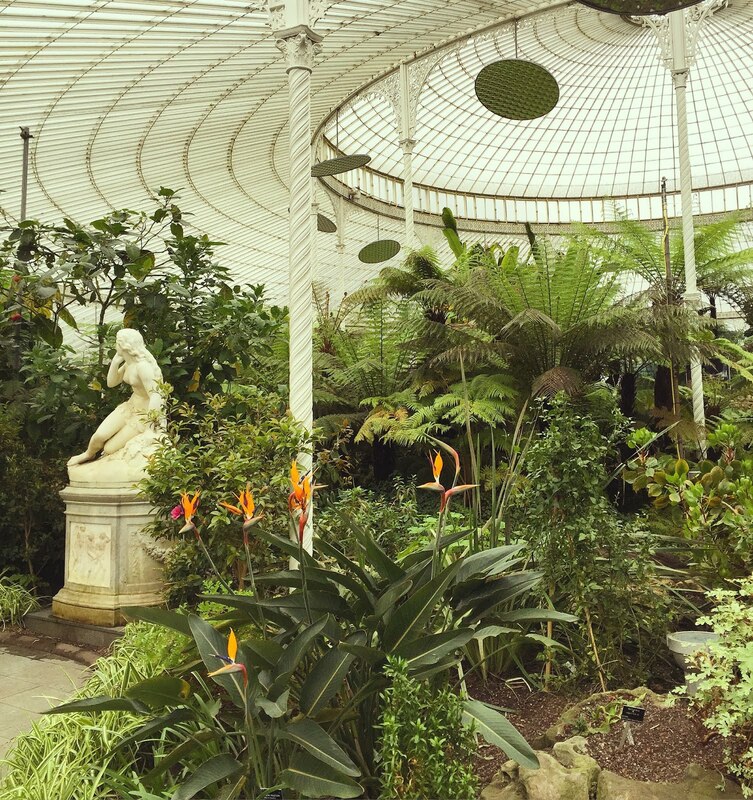 Botanical Gardens // With the botanical gardens just around the corner from Kelvingrove, we decided to explore the mini jungle before we had to rush off and catch our train home. There is nothing quite like exploring nature and the 'deadly plants' room is worth the visit alone. The hot, greenhouse atmosphere was a lovely place to rest the feet and watch the little fish swim about in the pond. 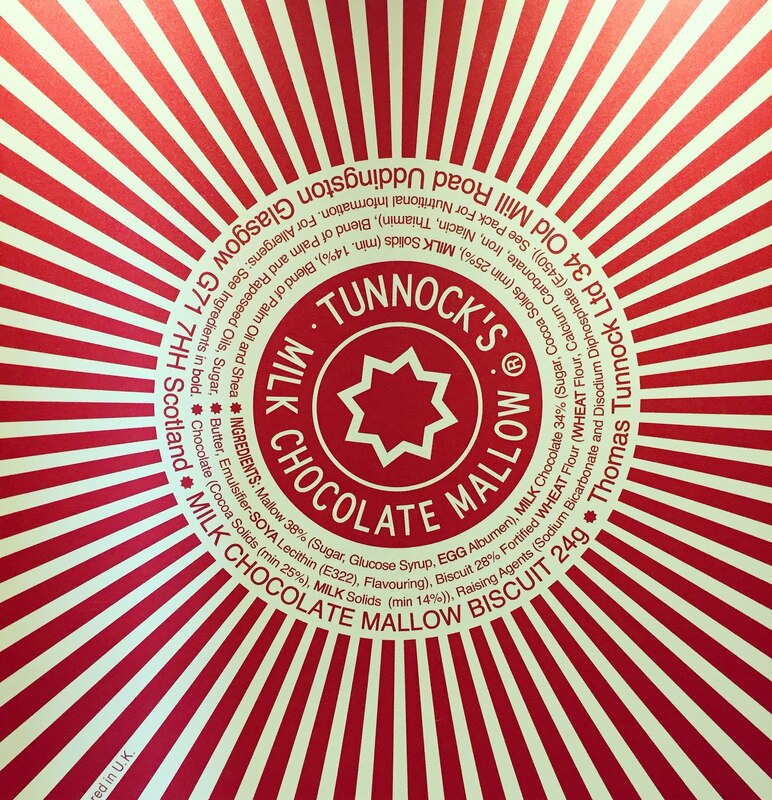 As you may have noticed, most of my featured destinations are located on Miller Street, in the heart of Glasgow's busy city centre. The street has recently undergone a transformation and features so many wonderful places to meet friends, enjoy a drink or two and indulge in some delicious food. 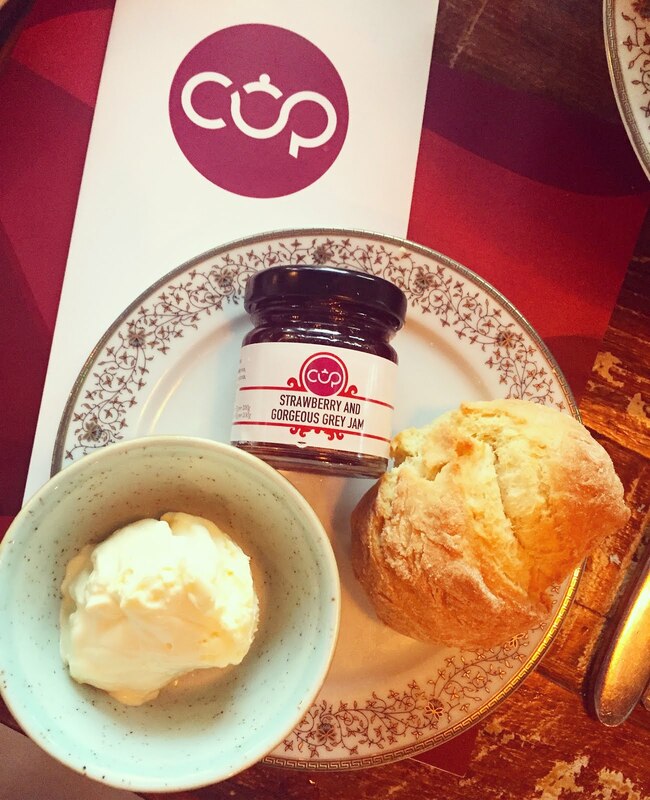 Take it from me, if you're in Glasgow, you're not going to want to miss any of these places - they are all definitely worth a visit! You can actually get some Glasgow Days Out travel passes from ScotRail, which are available here: https://www.scotrail.co.uk/node/426818. 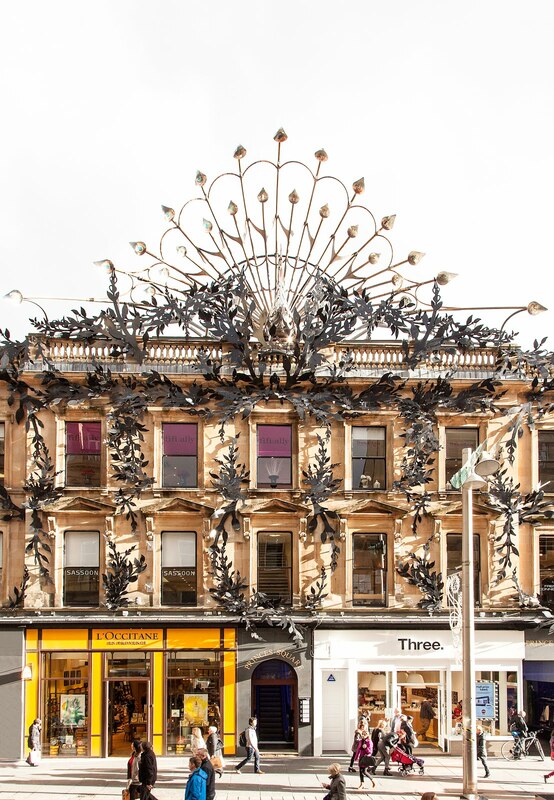 Have you been to Glasgow before? Have you visited any of the places that I have mentioned? 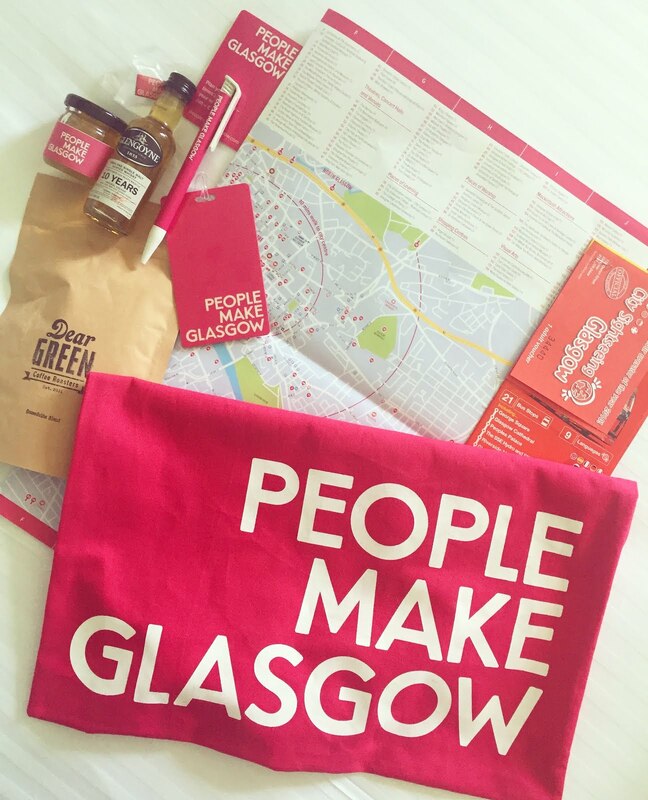 For further information on booking your trip to Glasgow, visit www.peoplemakeglasgow.com. I believe that your guidelines will make me able to spend the best time in Glasgow. Thank you very much for sharing the best guidelines. I love this post which are sharing all images are very creative and look very well, I really enjoy your post.